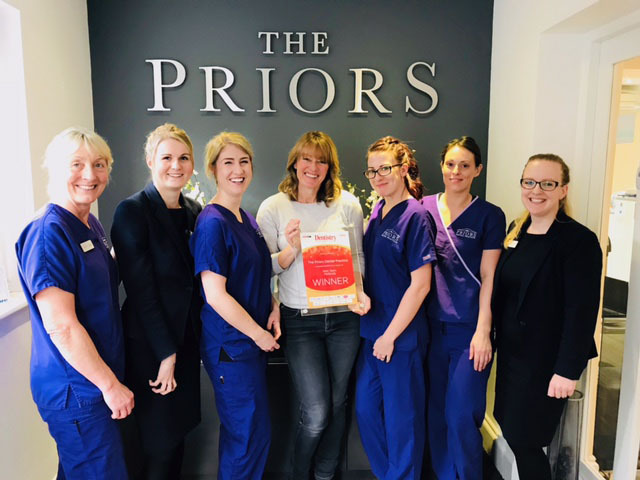 Our staff at The Priors Dental Practice are celebrating after being named the best team in the Midlands at the National Dentistry Awards, held at the Adelphi in Leicester on 24 November. The Priors has now collected its twelfth dentistry award in twelve years. Previous accolades include being recognised as the best implant practice, best orthodontic practice, best patient care and best practice in the Midlands. This year we are delighted to win the ‘Best Team’ award for the Midlands region! The judges were impressed with our collective approach to the patient experience and the ways in which we support and help each other in our daily roles, our staff retention and ongoing training programs. They also praised our achievement in Gold investors in people accreditation, the charitable activities that we take part in along with our involvement in the local community. The Priors Dental Practice team members with the award. L-R Sandy Giles, Jenny Lee, Samantha Blood, Lindsey Edwards (practice manager), Laura Burton, Hollie Macefield, Claire Lees. 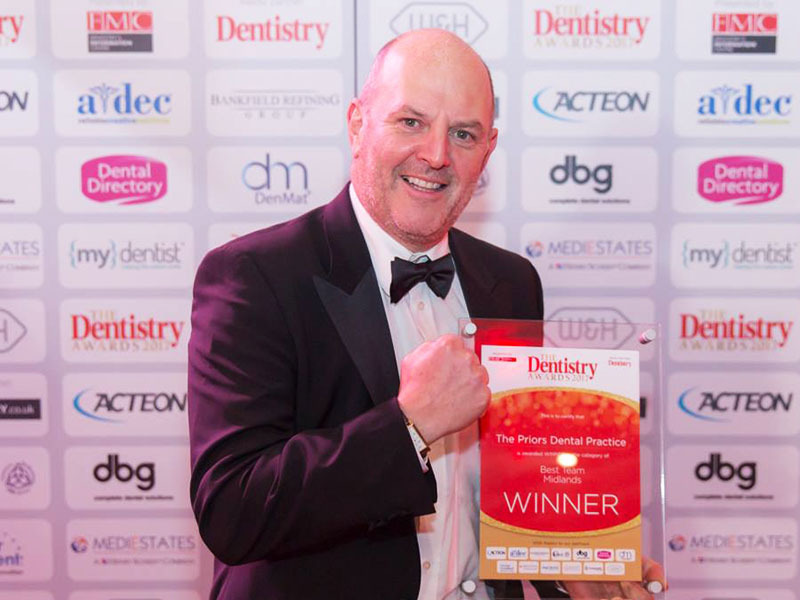 The practice was also thrilled to be shortlisted in the best team category at the Private Dentistry Awards, held in London on 15th December at The Park Plaza in London. Next:Do your teeth a favour, Reduce your stress levels in 2018!